VIVA’S NEW youth movie about a barkada of five boys, “Squad Goals”, is all set to open in theaters on May 9 as a special summer offering. 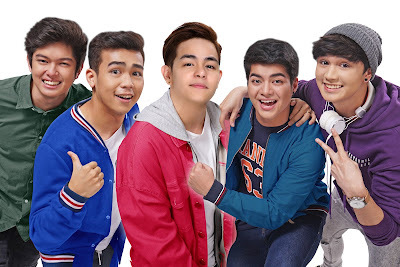 It stars Julian Trono, Vitto Marquez, Andrew Muhlach, Dan Huschka and Jack Reid in an exciting story a young man’s search for adventure, his need to belong while staying true to himself, the struggle to keep it all together in the face of academic stress, love problems and family issues, and the thrill of going through it all with real friends who understand you. 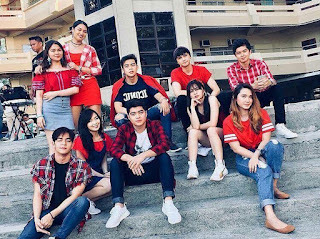 Viva Films knows just how to deliver films that tackle such relevant situations in this millennial generation, like they did before in other youth films such as “Bagets”, “Ninja Kids” and “Estudyante Blues”. “Squad Goals”, directed by multi-awarded filmmaker Mark Meily, is about college students who find camaraderie amidst a series of mishaps that could expel them from school. 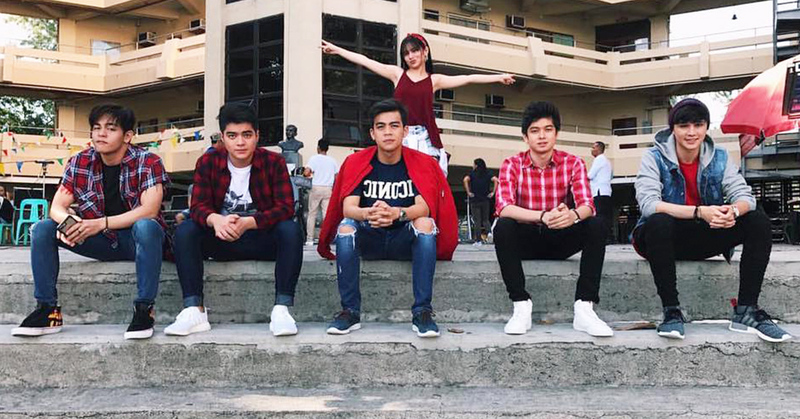 Prince of the Dance Floor and the other half of the love team JulianElla, Julian Trono (Fangirl, Fanboy) is Benj, an Engineering student who is a secret dance guru called “Young D”. He wears a mask in his dance videos on YouTube to keep his father from finding out about it. He took up Engineering to be able to help out in their family’s failing business. Vitto Marquez is Tom an HRM student and a varsity team captain who also happens to be a three-time MVP. He is too hung up on his girlfriend who is so concerned about her image. It mirrors the relationship of his parents as his father is a retired basketball player while his mother is an actress. In real life, Vitto is the son of Joey Marquez and Alma Moreno. Filipino-German Dan Huschka plays Hans, a shy-type music genius who keeps getting gigs as a DJ. In the process, his studies are taken for granted. He tries not to be too attached to his friends because he and his mom will go to Germany anytime to see his father. The thought of leaving becomes more upsetting when he met a girl who shares his musical interest. Andrew Muhlach plays Nat, the class clown and best friend of Tom. His father works as a driver, while his mother is into a networking business. Quick though he is in coming up with pranks, he is very slow in expressing his feelings for the girl he likes. In real life, Andrew is the brother of the original “Bagets” superstar, Aga Muhlach. Jack Reid plays Pads, a Mass Comm student who works part time as a bartender. This makes him fall asleep during class. Born and raised in Australia, he is not fluent in Tagalog. He is tutored by a girl who seems to be the only one not affected by his charisma. With this film, Jack hopes to be recognized for his own capabilities, and not just for being the youngest brother of James Reid. As the five boys try to fix their mess in school while the other aspects of their lives –romantic and domestic— are also on the brink of failure, see how the squad got each other’s backs. Adding excitement to the movie is Ella Cruz, together with young pretty lasses being introduced as the boy’s love interests: Carlyn Ocampo, Aubrey Caraan, Sam Capulong and Victoria Pilapil.